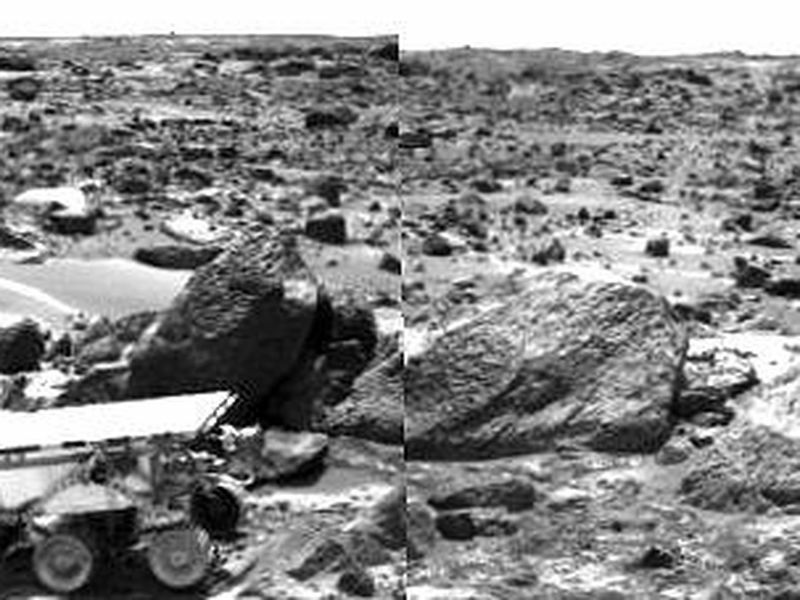 This is the right image of a stereo image pair taken on the afternoon of Sol 71 (September 14) shows Sojourner leaving the "Rock Garden," an assemblage of large rocks behind and to the right of the rover. 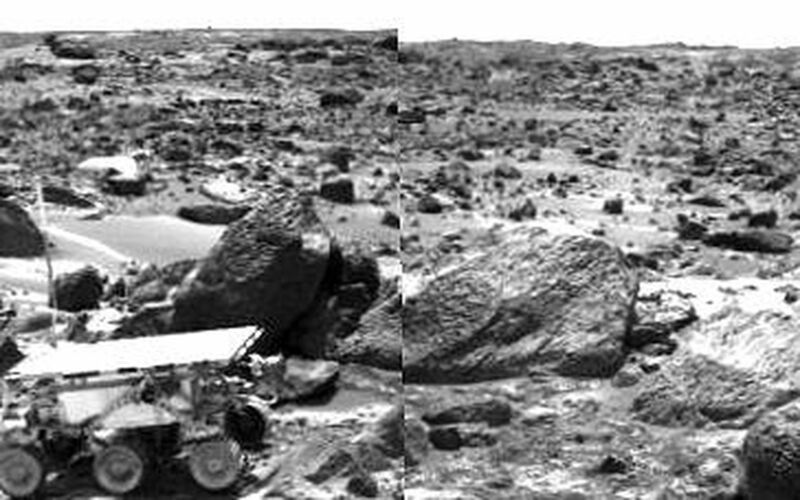 Sojourner's last target was the rock "Stimpy," seen at the far right. 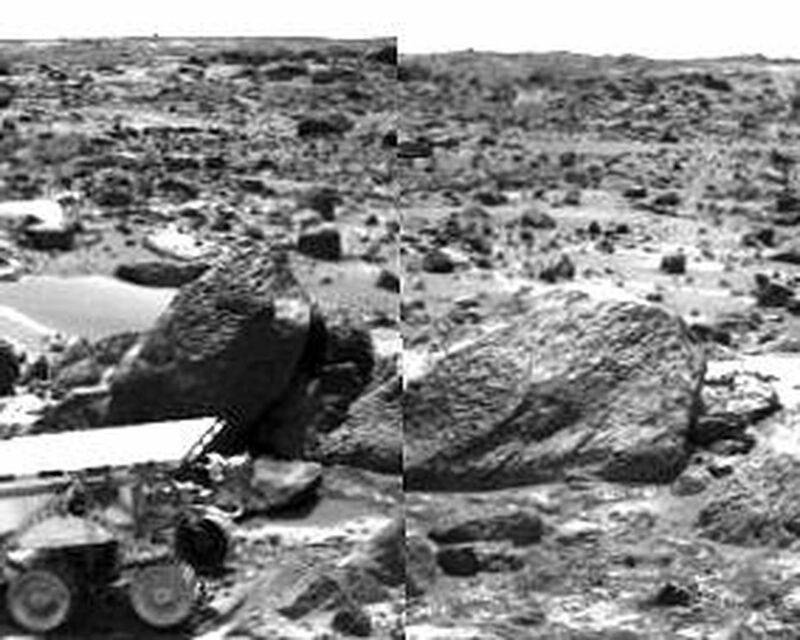 This image and PIA01568 (left eye) make up a stereo pair.